A new makeup line has just dropped at Sephora: Stellar Cosmetics. The brand claims to be “makeup for every skin tone” and was founded by TV personality Monika Deol, who saw a hole in the market. Like many women with medium skin tones, Indian-born, Canadian-raised Deol struggled with finding exact matches for her face. The line of high-performance makeup offers a range of colors and textures for every skin tone, especially the medium-range. The currently line features 22 foundation shades and basics like mascara, lipstick and “cosmic” powder. The range is priced between the low $20 range to upper $30s, with the foundation being the most expensive product ($38). The Cosmic Blush is available in three shades, a bright pink, burnished copper peach and coral pink; the concealer is available in six colors, ranging from cocoa to light; their Cosmic Face Powder is available in three tints; the Infinite Lipstick line available in satin nudes, reds, pinks, and plums, and a single metallic finish option, Dark Matter 02; a second lipstick line, the Metallic Moon Lipsticks offers 5 shades ranging from metallic copper to gold. My personal favorites from the collection are the Cosmic Blush in coppery peach which gives the perfect sunkissed glow and the Cosmic Face Powder, which sets makeup without making it cakey or flakey. Don’t just take my word for it though. 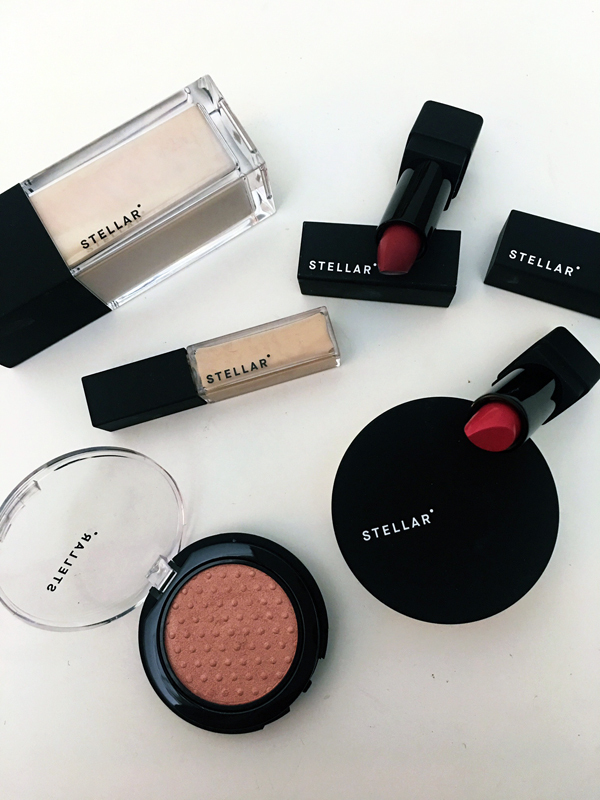 Shop Stellar and test them out for yourself!